The Brighter Futures programme provides an innovative and carefully considered response to the challenge of access to quality kindergarten education in Ghana. We aim to showcase best practice infrastructure and teaching in the schools where we work, supporting the government’s 2012 operational plan on a local scale and contributing strategies for its wider replication. Our Transformational Teacher Training and Building Better Schools projects are gaining national and international recognition for excellence, and are providing a benchmark for quality in Ghana. The Ghanaian child is at the heart of everything we do and the Brighter Futures programme derives its name from our goal of building a brighter future for school children in Ghana. 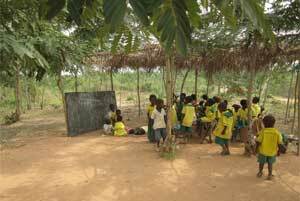 In 2007, two years of kindergarten school for 4 and 5 year olds became a compulsory part of the basic primary education system in Ghana. 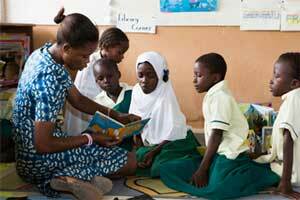 Despite the Ghanaian Government’s strong commitment to the kindergarten sector, it is still woefully underfunded. It is now widely recognised by educationalists, economists and policy makers that the early education years have the greatest impact on how a child performs at school, and the kind of adult they grow into. 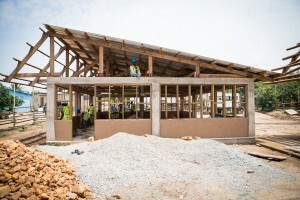 Since 2008, Sabre Education has been Building Better Schools in collaboration with global engineering and construction firm Arup, and in close collaboration with local communities and the Ghana Education Service. The Sabre-Arup kindergarten schools have received international recognition from development agencies such as UNICEF and DFID as being some of the very best classrooms in Ghana. Sabre’s Transformational Teacher Training programme targets the shortage of trained kindergarten teachers, and addresses the need for low cost appropriate learning materials. 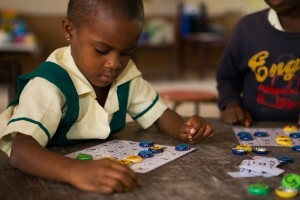 The programme is a direct response to the Government’s vision to revolutionise kindergarten teaching in Ghana. The programme is jointly managed by the Ghana Education Service, Our Lady of the Apostles (OLA) and Holy Child Colleges of Education and Sabre Education.